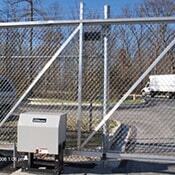 An automatic gate will provide your property with another layer of protection. Technology is becoming more advanced every single day. For this reason, automatic gates are becoming more common in residential and commercial settings. If you are considering an automatic gate for your property, you should know that it would be a wise investment. Here are some of the benefits of installing an automatic gate on your property. Security should always be a top priority. It does not matter if you own a home or a commercial building, you always need to be concerned about the security. There are plenty of criminals in the world who are always on the lookout for buildings and homes that are easy to break into. With that said, an automatic gate serves as a fantastic line of defense against burglars. When most people try to rationalize why they should invest in an automatic gate they don’t account for how it will increase their property value. This is because they generally more attractive than a traditional gate. In many cases, they are ornate and enhance the appearance of your property. If you are a homeowner who has young children or pets, you need to have some sort of way to keep them on your property at all times. Dogs are especially great escape artists and for that reason, you want to always be overly cautious. An automatic gate will allow them to play and enjoy the boundaries of your property without being able to run off into the distance. If you are one of the many who wants a fair amount of privacy on their property, an automatic gate is a great option for you. If you are a homeowner with an automatic gate it will shield your front yard from unwanted door-to-door salesmen and solicitors. Also, it will provide you with peace of mind that passerby’s and noisy neighbors can’t get a clear view of your property. This entry was posted on Friday, October 6th, 2017 at 3:58 pm. Both comments and pings are currently closed.